Neuroscience and brain-imaging technology have come a long way, but are they actually useful in a courtroom setting to explain why a person committed a crime? And are our brains to blame for all our actions, or do we have free will? Can a differently shaped brain remove moral responsibility for violence in an otherwise functioning person? 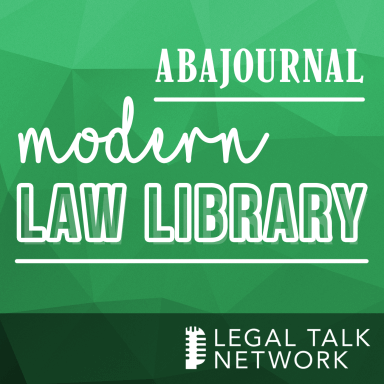 In this episode of the Modern Law Library, the ABA Journal’s Lee Rawles spoke to Kevin Davis, a fellow ABA Journal editor and author of the new book “The Brain Defense: Murder in Manhattan and the Dawn of Neuroscience in America’s Courtrooms.” Davis shares how he first became interested in the issue of brain injury and brain development theories as evidence, and explains the little-known backstory to the murder case that ushered in the use of neuroscience in criminal defense cases. He also recounts the way the reporting for this book ended up changing his own attitudes and behavior–and how he parents his son.